School lunches and how kids can get involved. It's the time of year when parents start to wonder what to put in their kids school lunches. 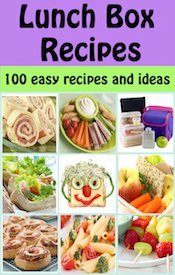 Every parent wants to find healthy ideas for the kids and provide variety at the same time. But most importantly they don't want their child to go hungry because they don't like the contents of their lunch box. Here are some of our tips and ideas for how to get your kids involved in packing their lunches, providing variety, what to pack for school lunch and more help with healthy lunches and kid's lunch ideas. Help your kids be in charge of packing lunch with these easy recipes for kids. How to get your child involved. Have them help pick out what is in their lunch; after all they will be the ones eating it! Give them choices and they will be happier and will feel like they have more responsibilities. Have 3 categories fruit, vegetable, snack type items (you choose the main course) they can choose something from each category and stick each item in their lunch bag. Also, while making your grocery list each week, go over with your kid's lunch options in those 3 categories what they'd like to order for that week. What to pack. Small portions with variety works well. A fruit or fruit slices, a vegetable or sliced vegetables, main course, drink (water or 100% juice) and, if desired, a snack type item. Need ideas for main course items besides peanut butter and jelly sandwiches. See our Lunch Ideas Beyond the Sandwich page. There are lots of great healthy lunch ideas to incorporate in your brown bag lunches. For those children who love the ease of sandwiches, try some of these kids sandwich ideas. For healthy snack ideas try nuts, cheese cubes, or yogurt. Biscuit sticks, soft pretzels, hard boiled eggs, jerky, granola, trail mix and cereal mixes are also good choices. Planning is key. Make things and freeze with lunches in mind. See our Freezer Meal Page for ideas and recipes. Try quick breads or muffins with fruits and vegetables in them such as banana, zucchini, pumpkin, carrot, raisin or apple. All these are good healthy snack ideas. Include a small ice pack to keep things cool. You can find these in decorative sizes and shapes now. Or freeze water bottles or juice boxes and add to school lunches. They will unthaw by lunch and keep things cool. Buy a kid size thermos. 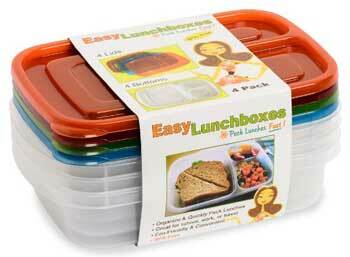 You can easily send cold or warm things in your kid's lunches. 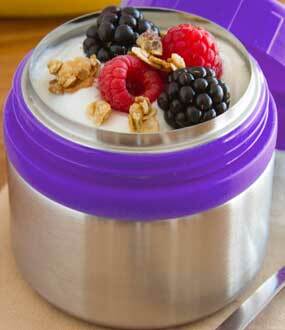 To warm a thermos, fill it with boiling water and seal the lid tight. Allow to sit 10 minutes. When ready to use pour out water and add the food. To cool the thermos, fill with ice cubes and seal tight. Let sit overnight. The next morning pour out water and fill. Close tightly. Make sure your child can open and close it! Give them a variety of things to choose from. Don't be afraid to give them something new sometimes. They might just be brave enough to try it when they are around their friends at school. 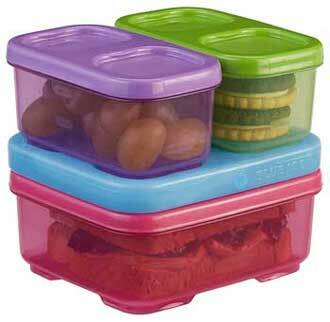 The night before, after cleaning up from dinner, is the best time for packing school lunches. Put what items need to be chilled in the fridge and what items that don't, ready to go in the lunch box. Better yet get your kids involved with making their lunches by having them do this step. This will save you some time in the morning. Don't worry if your kids want a peanut butter sandwich everyday! Let them have it. Just include other items in their lunch to choose from as well. 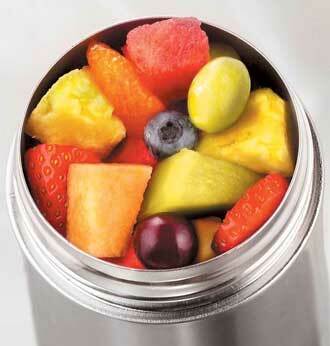 Do you have any school lunch tips?